Fesler Orthodontics offers a unique orthodontic experience that is fun, friendly, and effective, while giving you the personal attention and individualized care you deserve. We offer complete orthodontic care for children, adolescents, and adults. Our techniques are state of the art, including nickel titanium wires, self-ligating braces (Damon® Smile), clear braces, Invisalign®, digital radiography, and the newest in impressionless scanning with the iTero Element. By using the most up-to-date technology and braces, we provide orthodontic care that is more comfortable and more efficient than ever. A healthy, beautiful smile is the first thing others notice about you. Your smile can open doors of opportunity you never even stop to think about! At Fesler Orthodontics, we think about these things every day. Dedicated to the concept of lifetime learning, Dr. Fesler, Dr. Sugay, and our staff are constantly training to enhance their skills. We make it our responsibility to assess and implement the latest techniques and materials available. Our office understands how precious your family is and strives to treat them with the care and respect we would give our own. As active members of our community, we are committed to our towns, schools, and neighborhoods. At Fesler Orthodontics we are not just about straight teeth and a great smile. One of our goals is to make a difference in your or your child’s life. But we also strive to make a difference beyond our neighborhood. 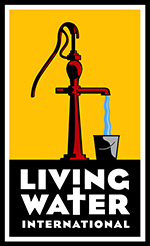 One of the areas we give back is through a charity called Living Water International. Living Water International exists to demonstrate the love of God by helping communities acquire desperately needed clean water, and to experience “living water” — the gospel of Jesus Christ — which alone satisfies the deepest thirst. To learn more, visit Living Water International. Team in Training is a great organization that Dr. Fesler has participated with, both as a competitor and a donor. 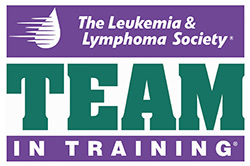 Team in Training is the world’s largest endurance sports training program, whose mission is to raise funds for the Leukemia & Lymphoma Society. The society’s mission is to cure leukemia, lymphoma, Hodgkin’s lymphoma, and myeloma, and to improve the quality of life of patients and their families. Learn more at Team in Training.